Mostly for preparing kozhukattais rice flour is used. 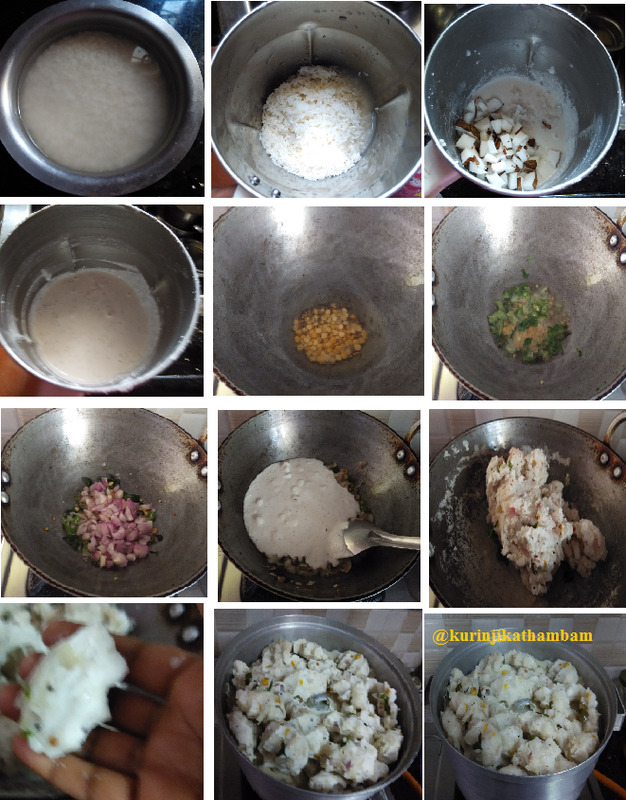 But in Kongu Region (Coimbatore and surrounding region) rice is soaked and made into a idli type batter and used. This kozhukattai is more tastier than rice flour kozhukattai. It’s not only a very good snack but also can be served for breakfast or dinner with coconut chutney. 1. Wash the green chillies and cut them into small pieces. Keep it aside. 2. Peel the skin of the onion and wash it. Cut the onion into small pieces. 3. Wash and soak the rice for 2 hours. Then grind the rice into coarse paste with little water using the mixer grinder. 5. Heat the oil in a heavy bottom pan or non stick pan, add mustard seeds and wait for popping. 6. Then add urad dal, channa dal, green chillies and curry leaves. Saute for a minute. 7. Next add the chopped onion and sauté till they become translucent. 8. Now add the ground batter and mix them with the ladle. Stir it continuously till the water gets absorbed completely and the mixture becomes soft pliable dough. Switch off the flame and allow it to cool down. 9. Heat the steamer with water (idli pot). Meanwhile, divide the dough into lemon size balls. Press each balls between your palm and fingers. Now you should get the finger impression on the balls. 10. Steam cook the kozhukattai for 15-17 mins or till they turn into glassy. 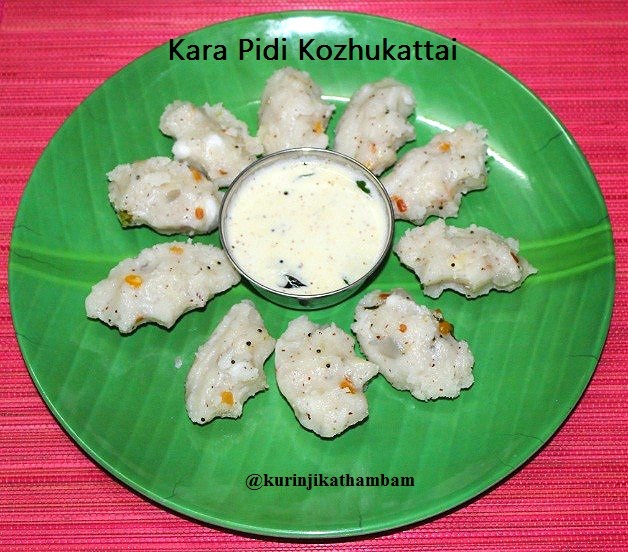 Yummy and healthy kozhukattai is ready to serve. Serve with coconut chutney. Very nice recipe..........I tried this recipe more than five times. I love this recipe.